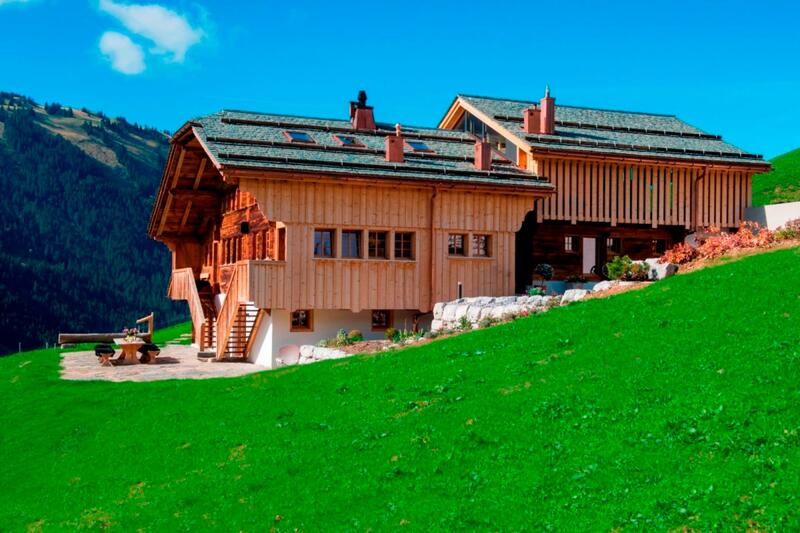 Nestling in traditional farmland high above the exclusive hamlet of Lauenen is Chalet Lottie, an original farm house dating from 1867. 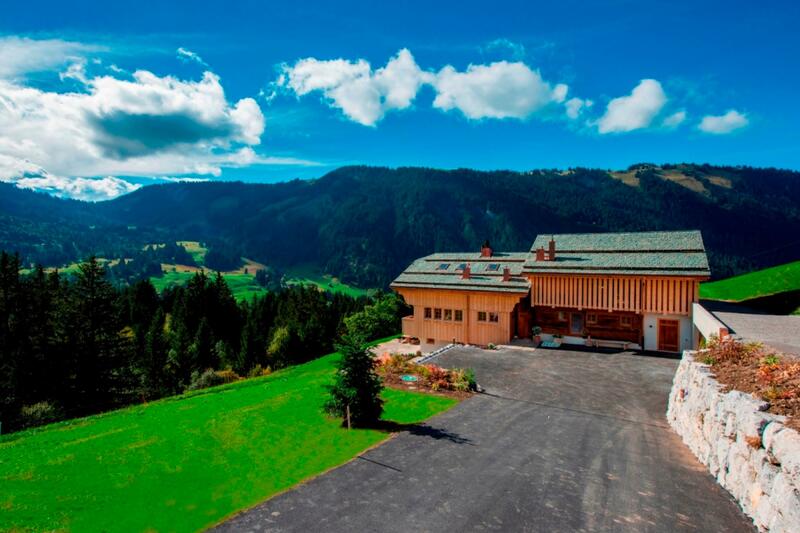 Transformed into a show-stopping home, this property combines unique traditional features and high-end design to create an iconic Alpine retreat. 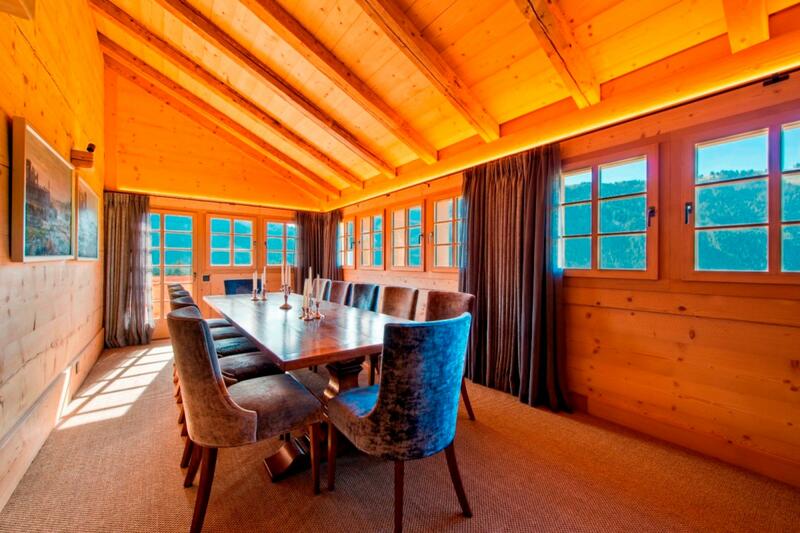 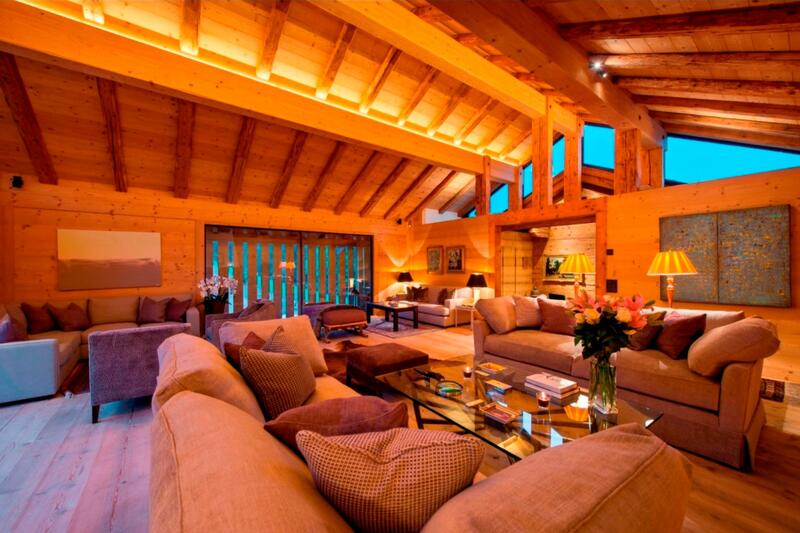 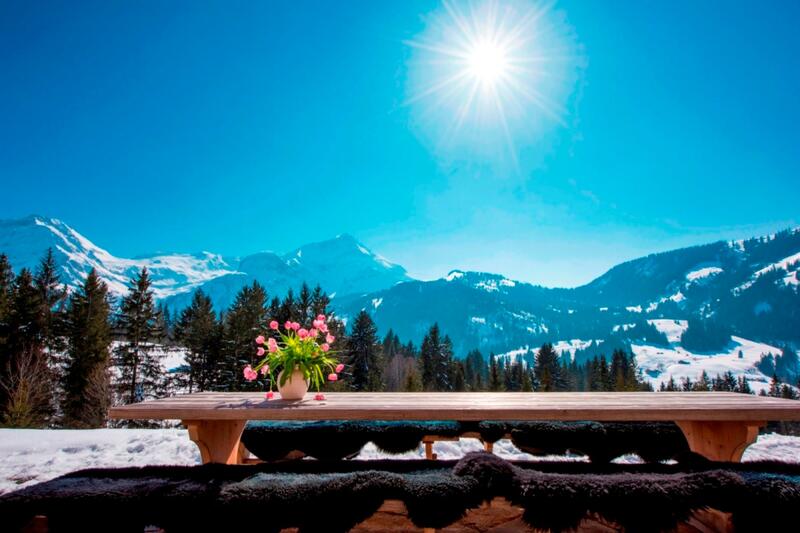 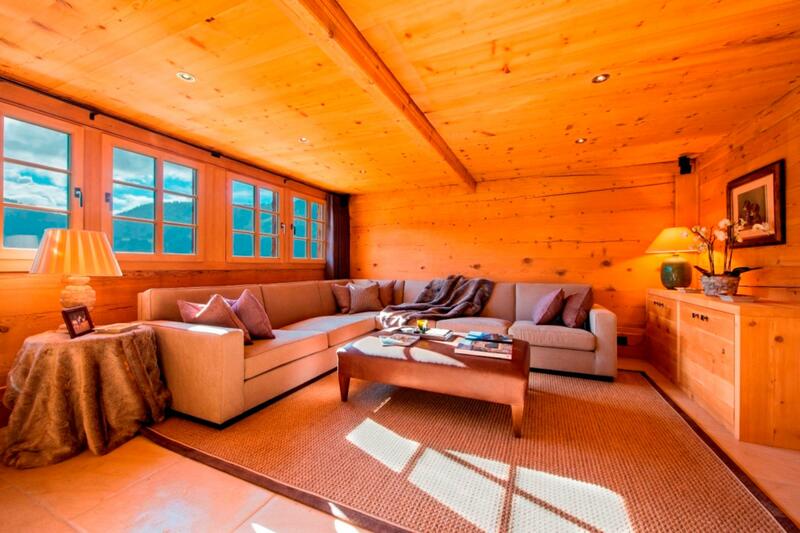 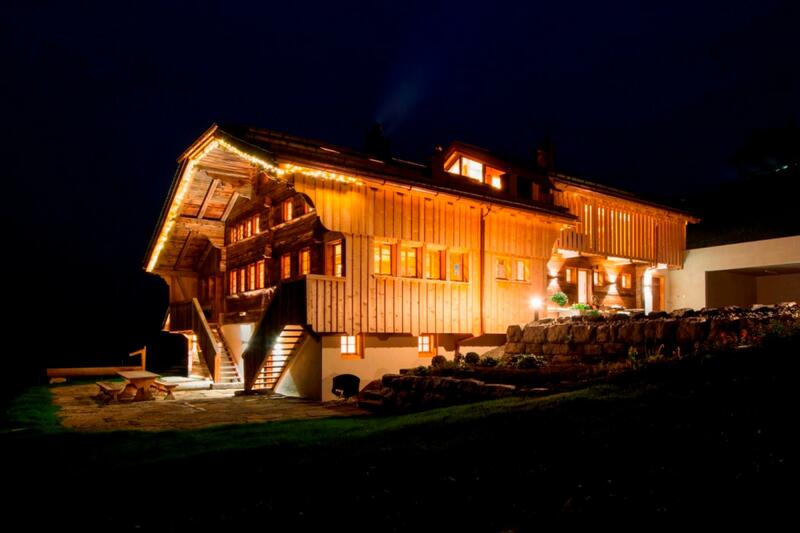 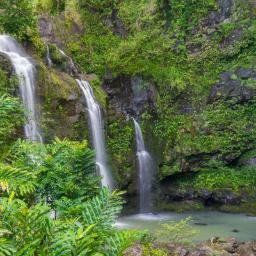 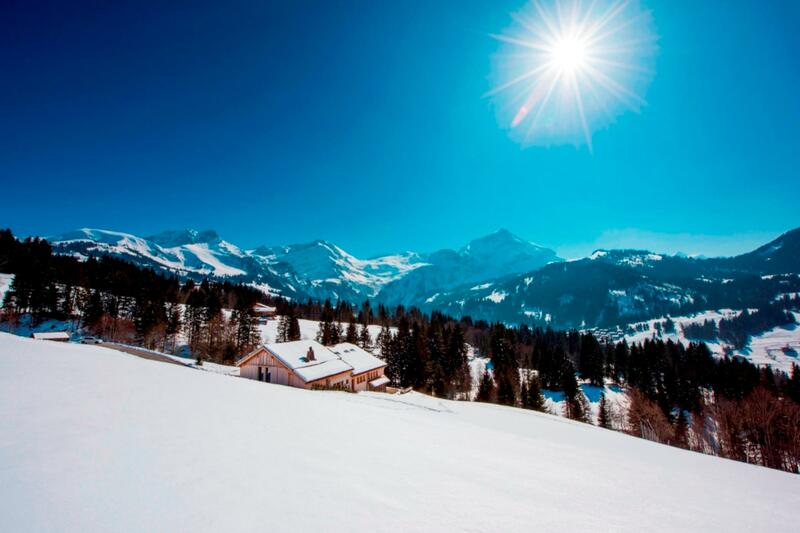 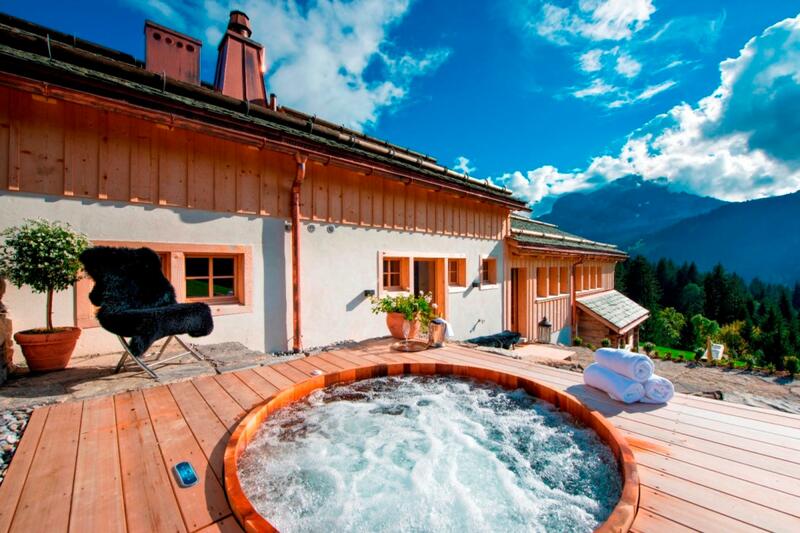 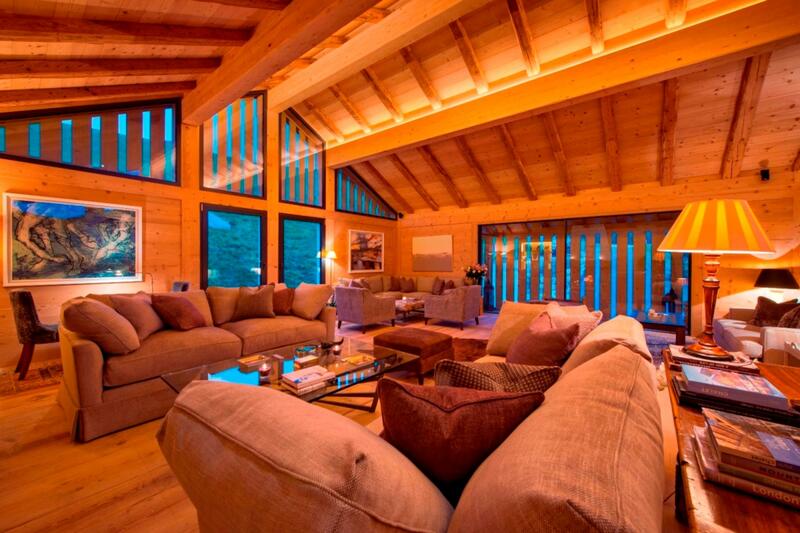 The chalet's secluded and elevated position affords it breath-taking views of the surrounding peaks. 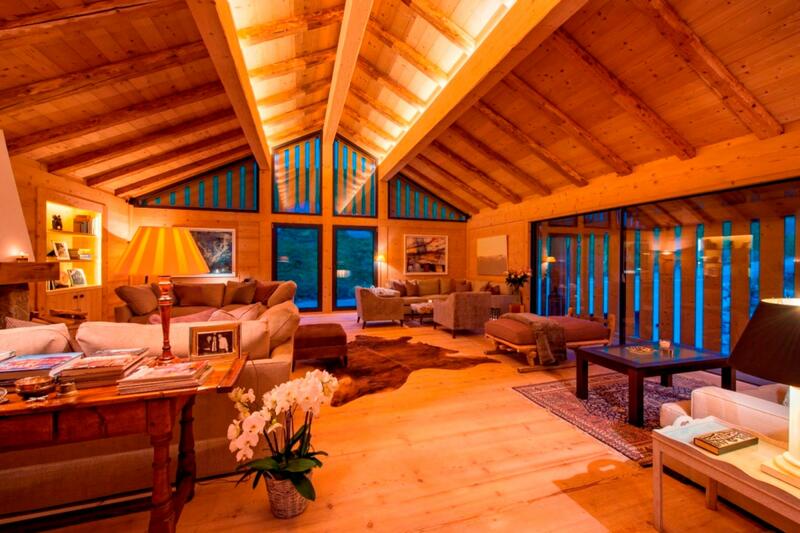 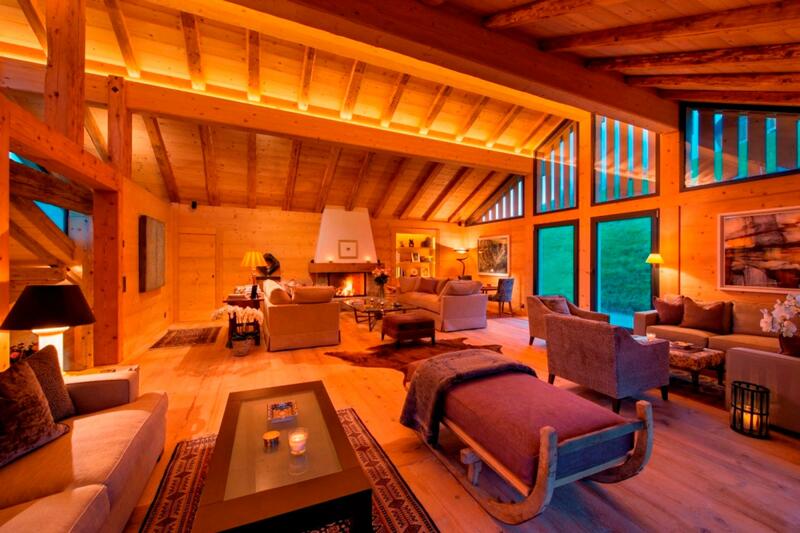 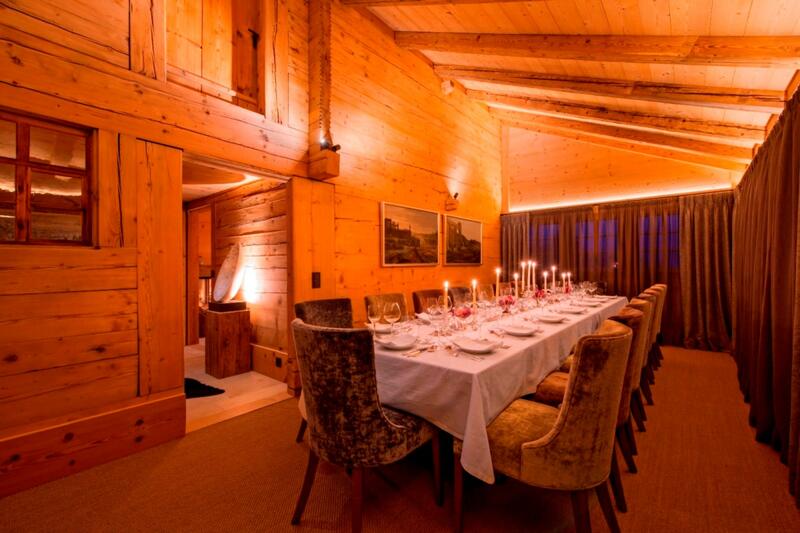 Within, the chalet showcases the original wooden beams and panelling of the historic building to stunning effect. 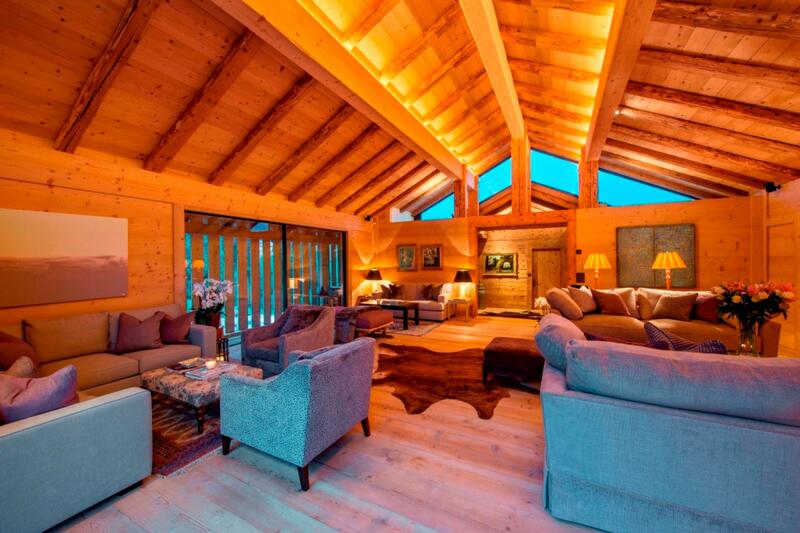 Sumptuous fabrics, contemporary furnishings, and beautiful sculptures and art are combined with aged woods, natural stones, and traditional details to create a characterisitc and chic Nordic property. 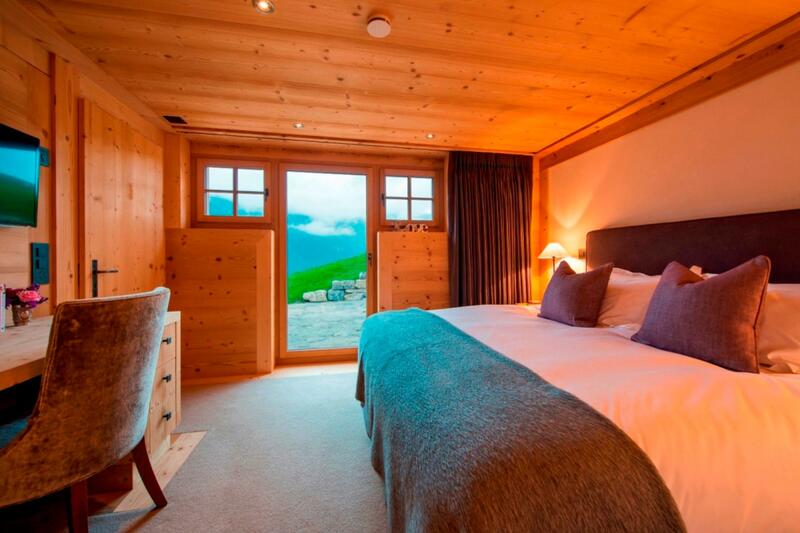 Sleeping 14 people in seven en-suite bedrooms over three floors, Chalet Lottie boasts an extensive and graceful living area and separate dining room seating up to 18 guests. 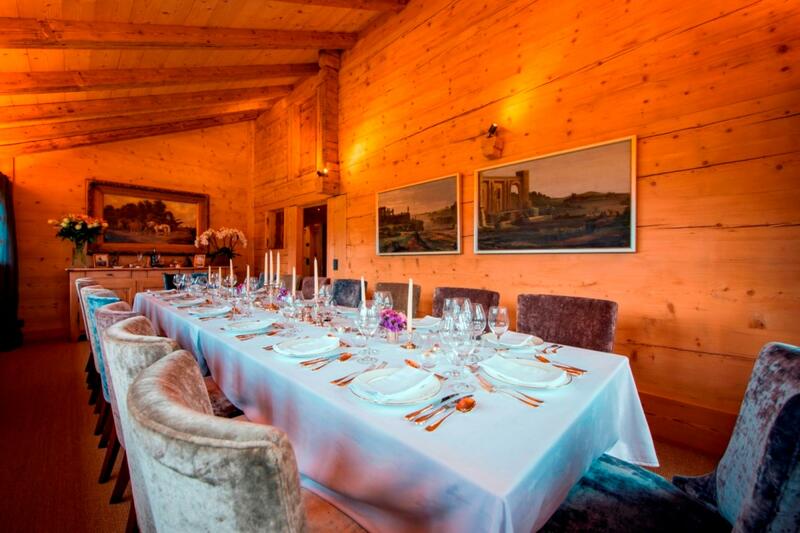 These areas are perfect for entertaining with sophisticated dinners created by your expert private chef. 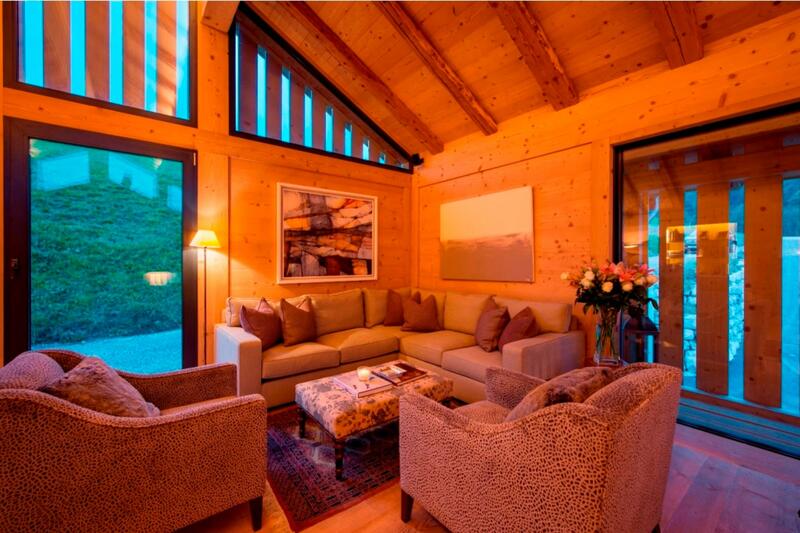 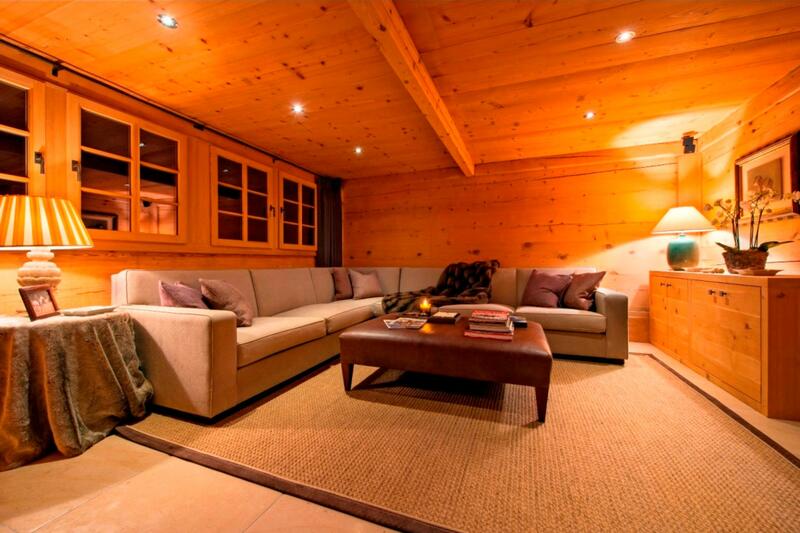 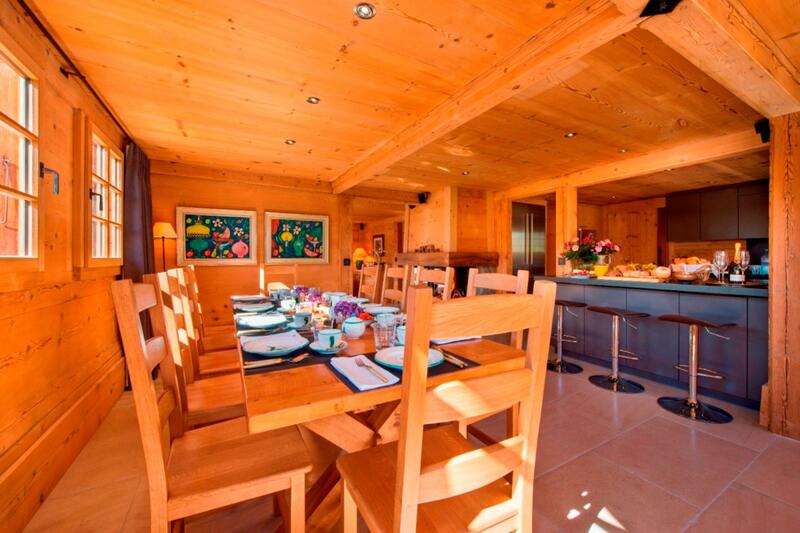 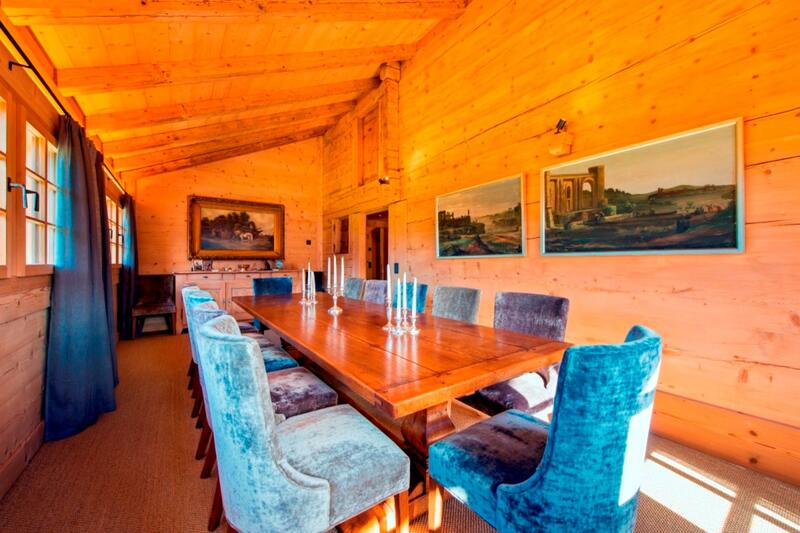 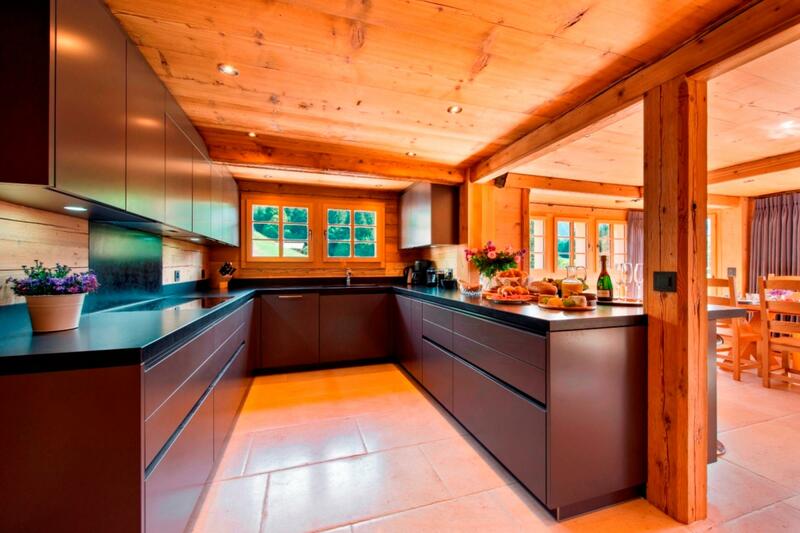 The chalet has a further open plan breakfast room and second living area for complete relaxation. 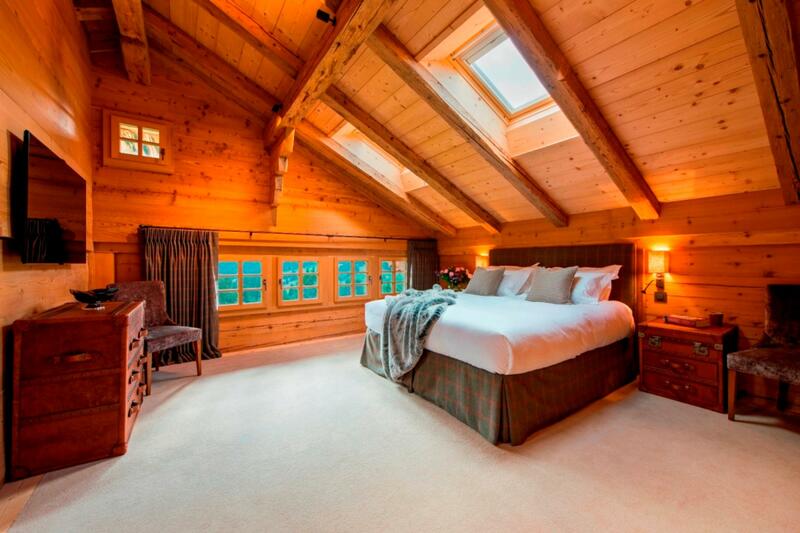 The top floor of the property houses the living area, a grand master bedroom complete with an impressive en-suite bathroom and dressing room, and a delightful double bedroom with en-suite shower room. 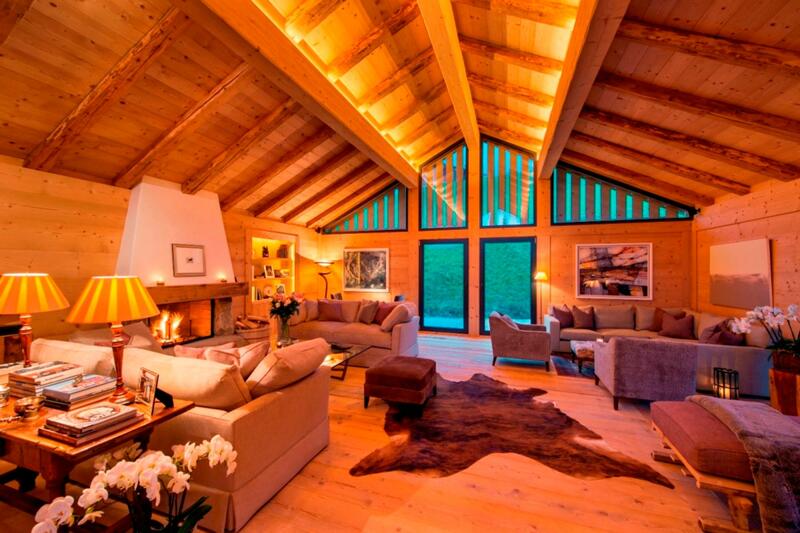 Entering the chalet from the main doorway you will find yourself on the ground floor, where there are a further three bespoke design en-suite bedrooms (two doubles and one twin), the open plan kitchen and second living room, a guest restroom, the dining room, and a ski and boot room to keep all of your equipment safe and dry. 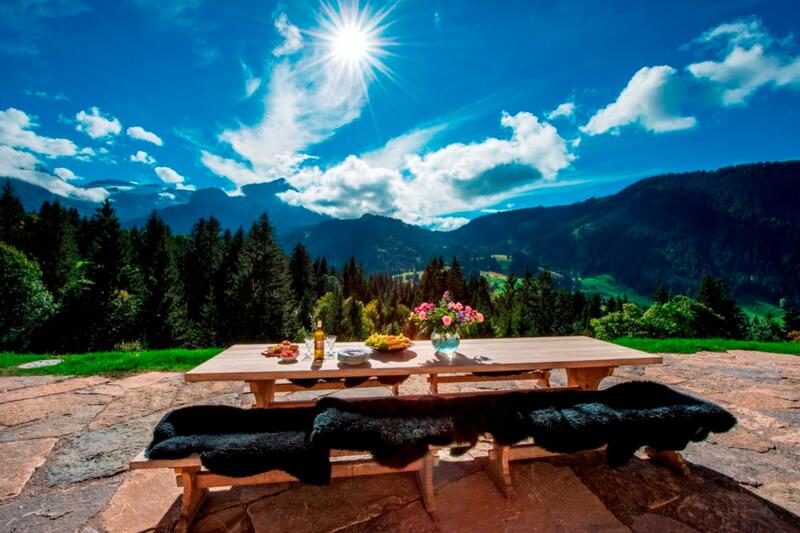 Wander outside to find a gorgeous terrace area overlooking the awe-inspiring Verbier mountains. 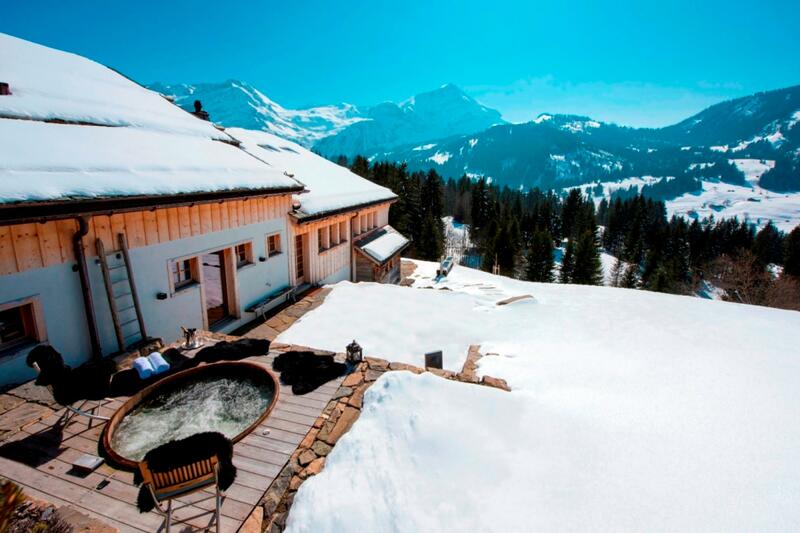 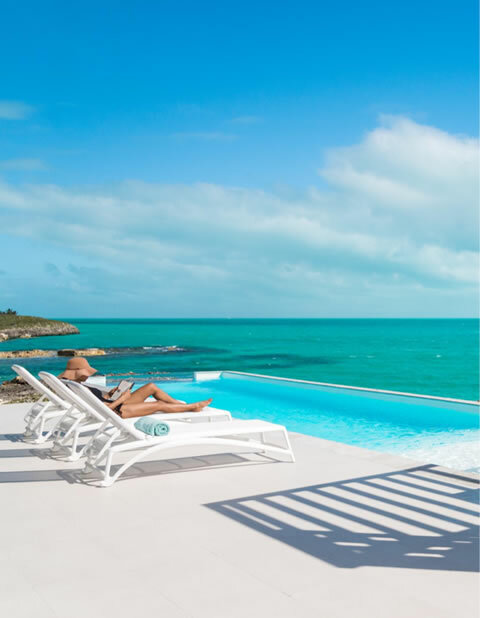 Spend at least one memorable evening out here, unwinding in your cedar hot tub with a glass of champagne, to reflect on the immense beauty of the surrounding landscape. 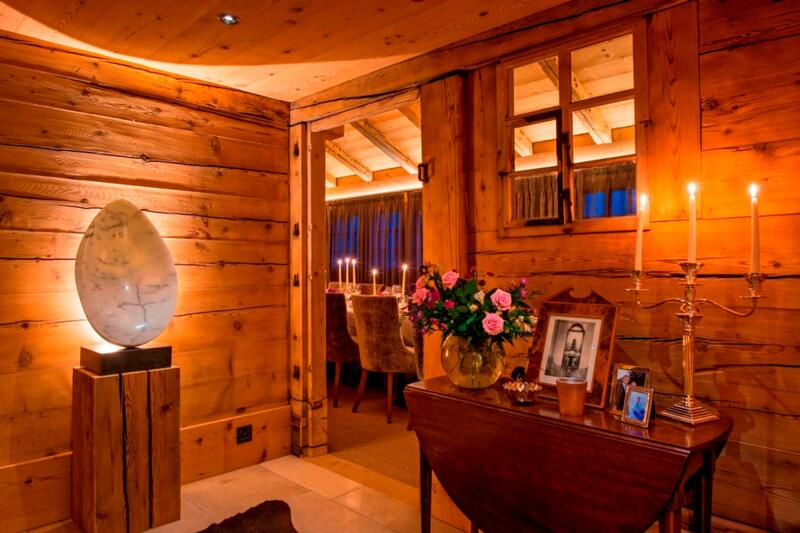 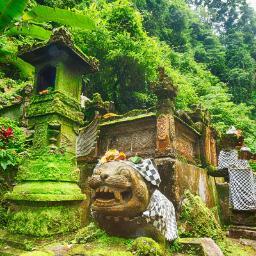 As you descent into the lower floor you will uncover a new level of opulence. 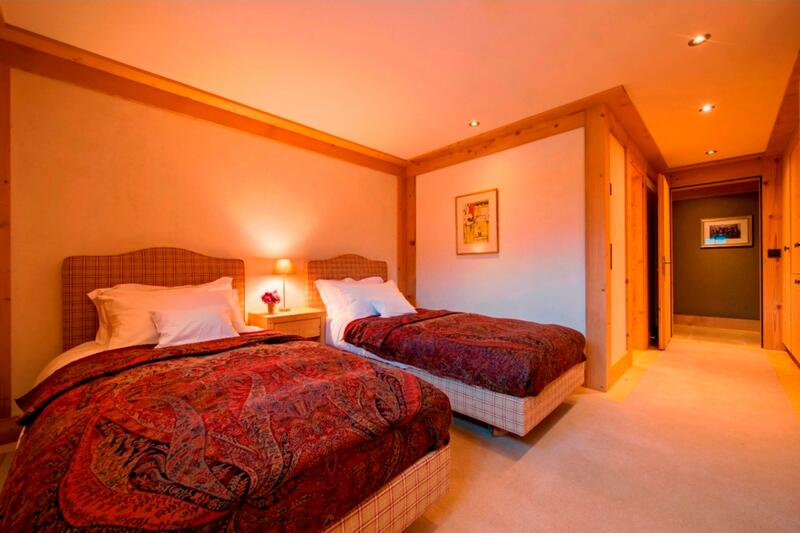 Here are not only a further two wonderfully decorated en-suite bedrooms and a laundry room, but also a range of deluxe facilities. 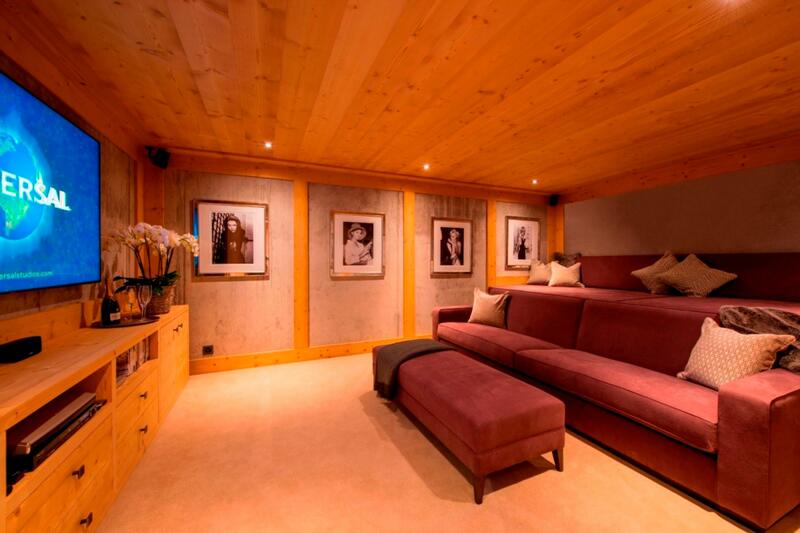 A cinema room is situated here, perfect for those cosy evenings in. 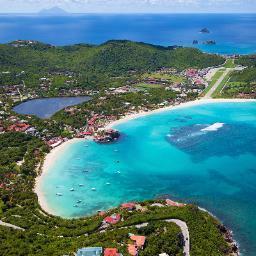 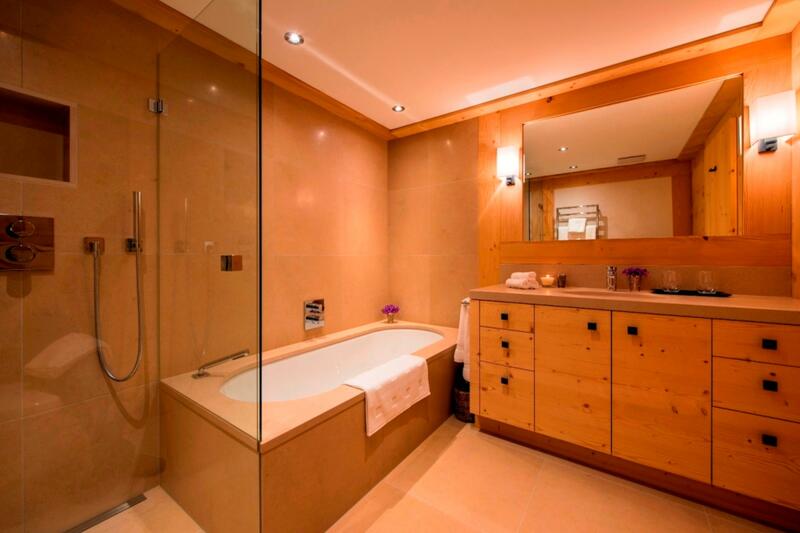 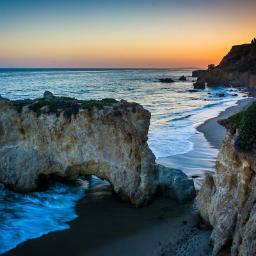 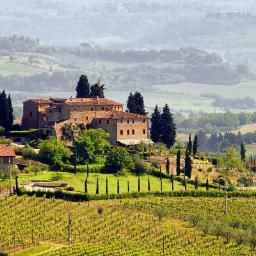 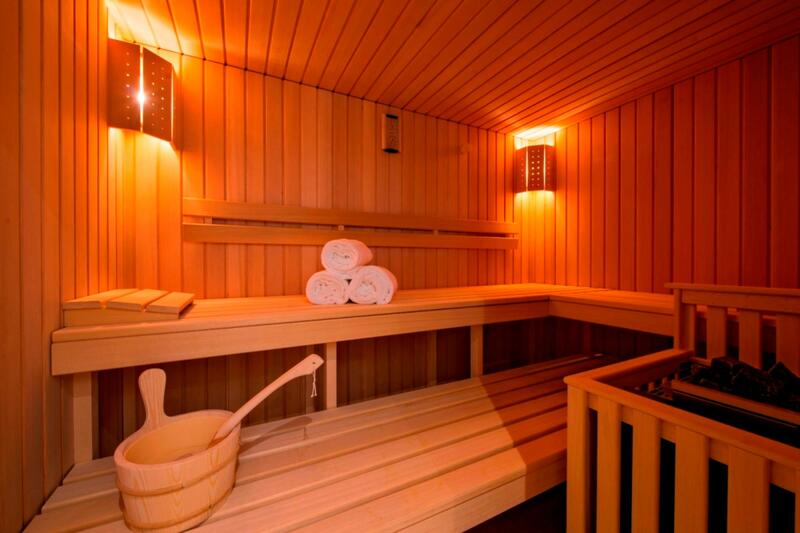 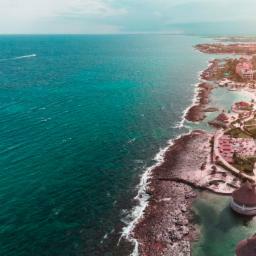 You will also find a gym, equipped with state-of-the-art fitness machines, and an indulgent sauna. 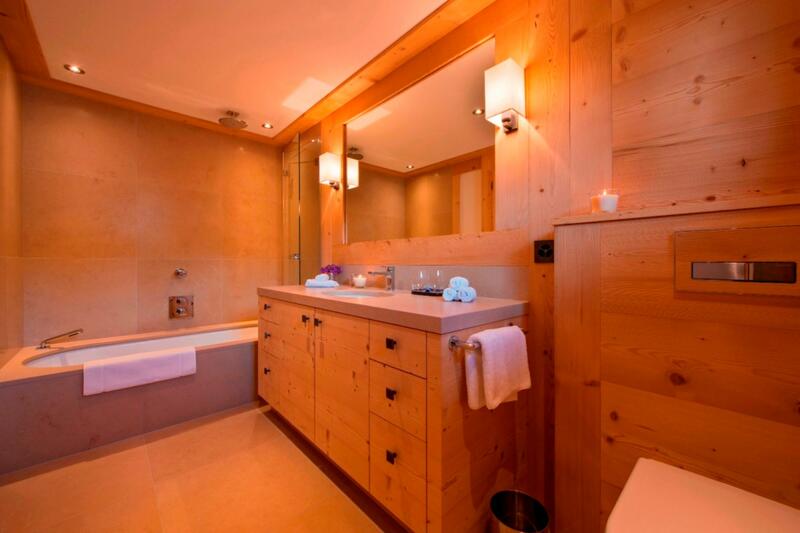 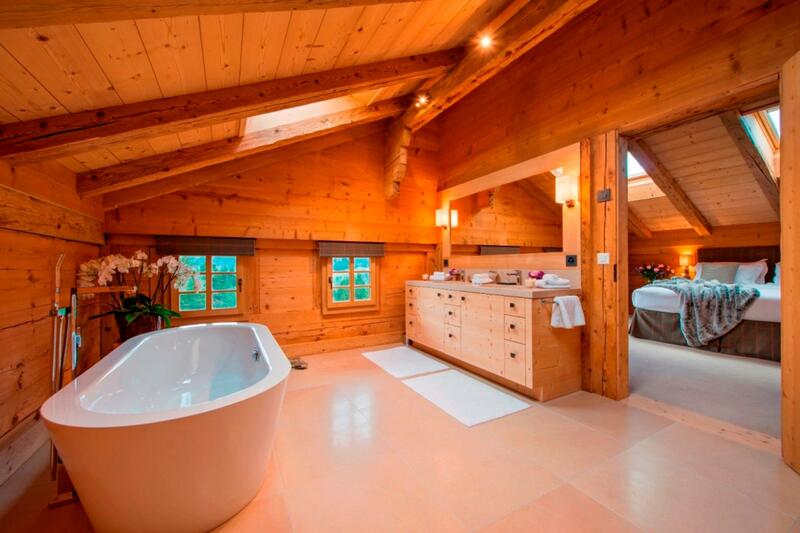 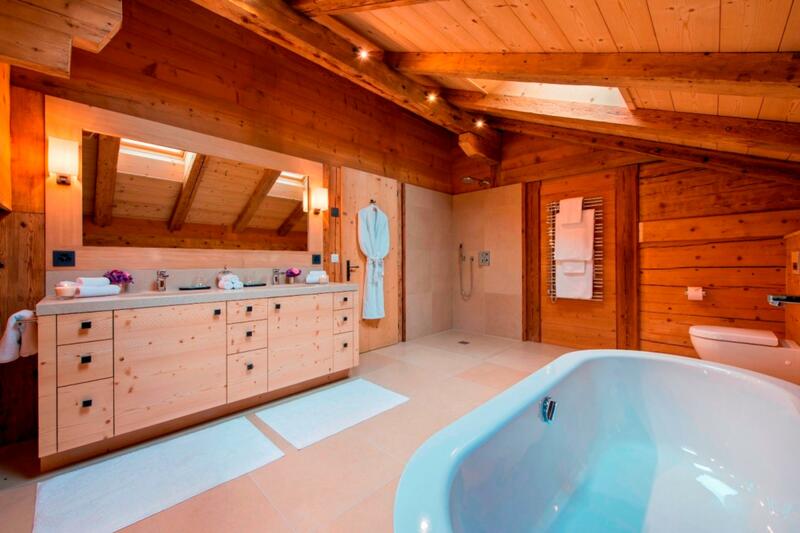 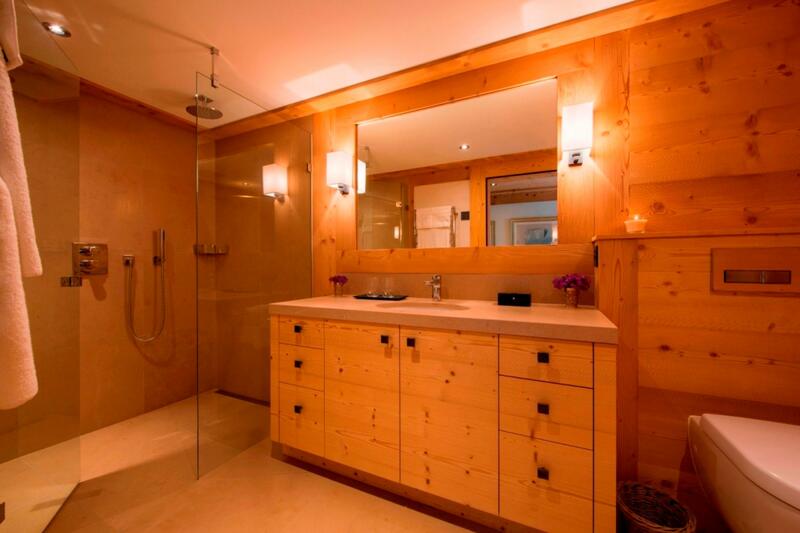 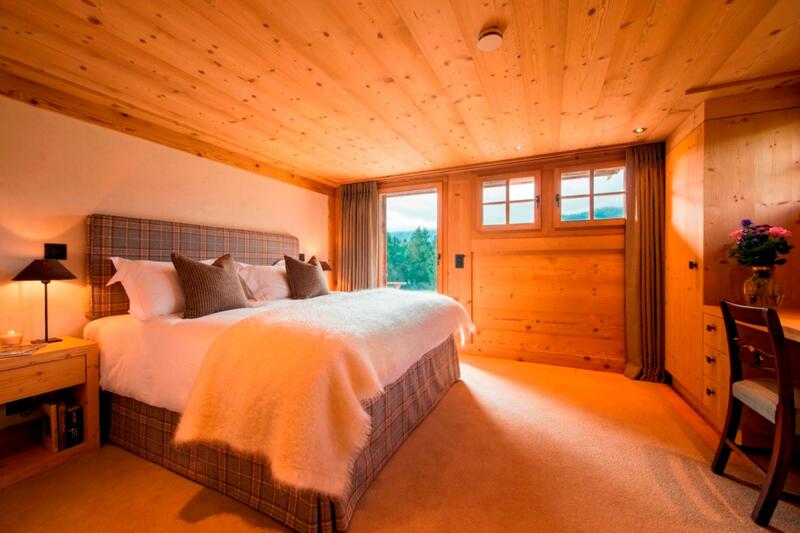 You will feel pampered from the moment you awake at Chalet Lottie. 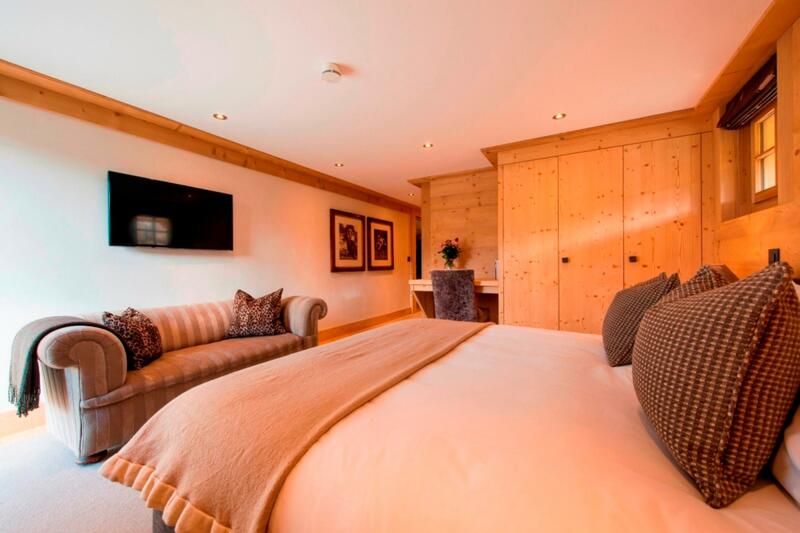 Feel soft quality fabrics everywhere you go within the chalet, see beautiful details inspired by traditional Alpine culture and bespoke design, perfectly complemening your stay in the most beautiful village in the world. 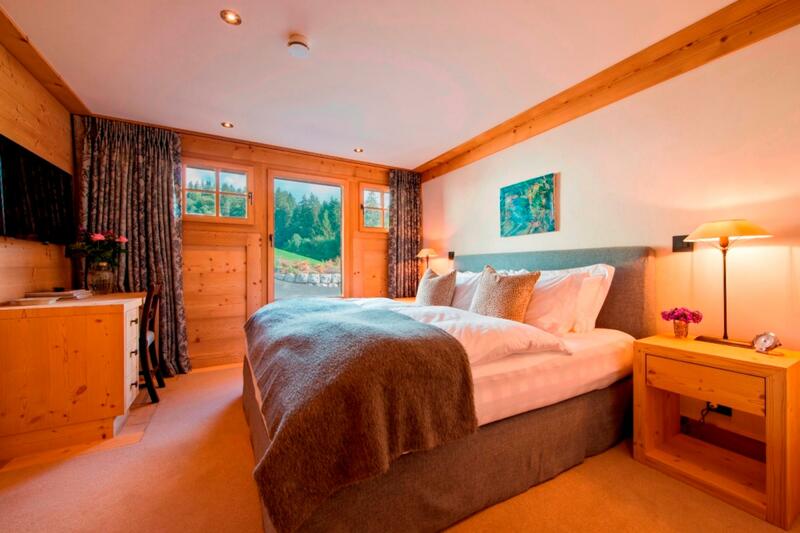 Rest assured that your vehicles will remain absolutely safe throughout your stay as Chalet Lottie provides exterior parking for three cars and interior garaged parking for a further two vehicles.